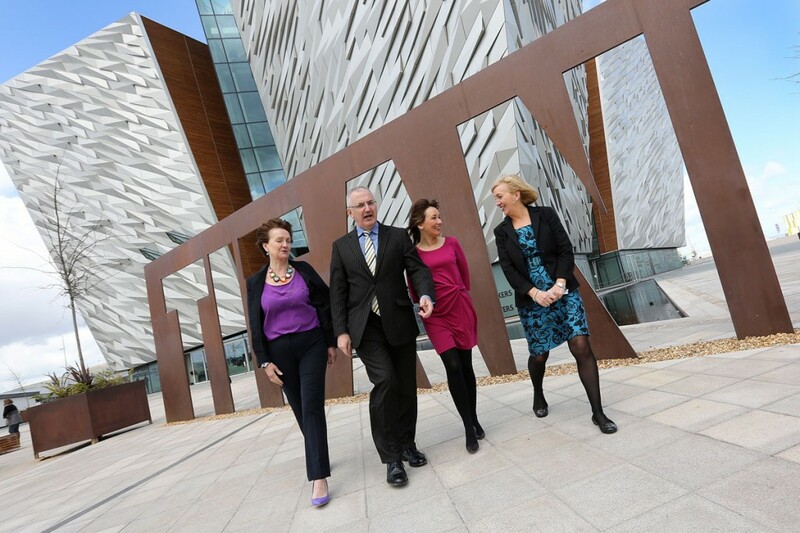 THE ONGOING development of Belfast’s various quarters was the subject of a discussion at the One City conference. Chaired by West Belfast Partnership Board CEO Geraldine McAteer, it involved Paul McErlean of the Cathedral Quarter, Mike Smith of the Titanic Quarter and Eimear Ní Mhathúna from the Gaeltacht Quarter. Mike Smith spoke of the progress made by the city in the past 15 years but focused on the progress of the Titanic Quarter. Phase one and two are complete, he said, while phase three has been delayed due to the economic climate. The quarter is buzzing with residents and students as well as workers piling into the area to live, work and study, he said, but there are still challenges ahead. Mr Smith said opportunities in financial services, creative media and tourism are in the wings, waiting for conditions to change. Eimear Ní Mhathúna echoed the notion that people and not buildings or infrastructure are what make areas successful. “I’m proud of this building,” she said, “but what’s important is what happens in the building. We are very much about developing a creative quarter and while the Culturlann project has been worthwhile, it has to be a catalyst for producing more creativity.